Many's the time that I have wreaked havoc by meddling with my PC - but it's good fun digging yourself out of the hole. Just stick around kid! If you stop around for a few years you will see all the pan ash of the sites members roll out. 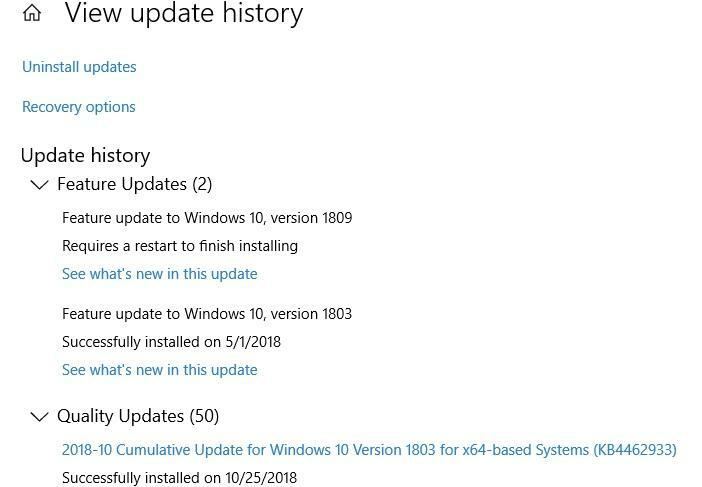 I had a version 1803 update behave the same way and could not get it to finish the install. In my case I resolved it by restoring my computer, using Acronis, back a month before the update was downloaded. I do have recent backups but everything seems to be normal. I think I will wait when or if 1809 updates again.